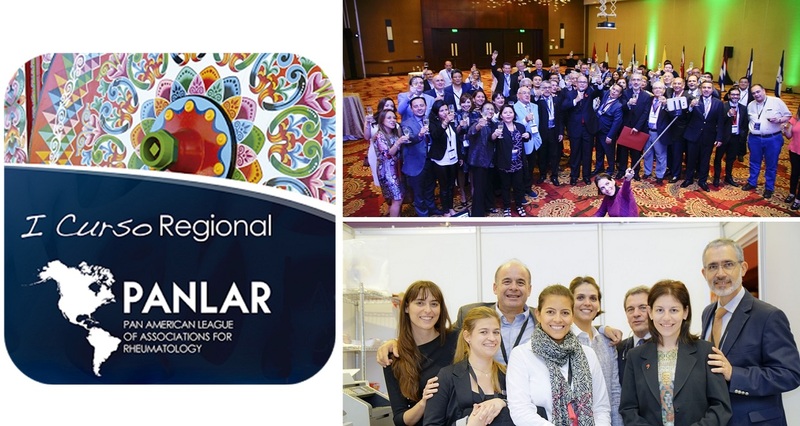 PANLAR added a new event series to its large portfolio of educational offerings focused on delivering targeted education to the local needs of the different country and regional associations members of PANLAR, starting with ACCAR in Costa Rica.
" In this event, unlike the others I’ve attended, the presentations were very concise and provided very interesting data that we can apply into our daily medical practice. They were neither long nor boring.	" The Pan-American League of Associations for Rheumatology (PANLAR) wanted to launch a new event to its already large portfolio of educational offerings. It chose a strategic partnership with a local society, ACCAR (Asociación Costarricense de Reumatología), in order to deliver a targeted education to local rheumatologists. The newly elected president of PANLAR also decided to select a new PCO which could bring the PANLAR events to new heights. The Kenes Group team in Latin America was selected after the bidding procedures. The president of PANLAR is well known in his field as a person who generates ideas and, expectedly, he wanted to take this opportunity to deliver innovative events. 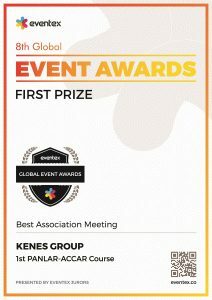 Therefore, he was pleased to hear that Kenes offers meeting architecture services, putting the actual design of the event, not the logistics, as first priority. He wanted a meeting where the delegate ROI is measured, and where there are ample amounts of interaction and innovation. Since the initial stages of the planning process, Rosa Garriga Mora, the Kenes meeting architect, worked very closely with PANLAR and the local society to design an event that would meet everyone’s expectations. The main goals were to communicate the message that innovation is in PANLAR’s DNA and to make a highly interactive event with a rather small budget. A lot of effort was put on designing the event down to every detail, including a flawless programme and briefing all the speakers and session chairmen. The limited budget was invested in adding technological solutions that would maximise engagement. Additionally, PANLAR requested Rosa to be the event’s MC (Master of Ceremonies) and to make sure that the plan was followed. As part of the technology used at the event, there was an interactive app including a poll feature. The participants had lively discussions with the panellists and took a quiz at the end that tested their knowledge. Those with the most points got a prize – a complimentary registration to PANLAR’s next events. Everything worked smoothly thanks to the Kenes team on site. The feedback was overwhelming – everyone, from the client to the participants and even the sponsors, was all ecstatic about this event. They loved the new format and said it was the most interactive event they had been to. Through the post-event survey, it was discovered that the PANLAR community is ready for even more interactivity. 86% of the survey respondents agreed that the course had met their expectations and 91% said that they would attend another PANLAR event. There were some lessons learned too, which were used for the successful planning of the next PANLAR events. PANLAR was one of the top winners at the 2018 Eventex Awards, winning first place for Best Association Meeting and Best Medical Congress.